The co-founder of Microsoft sure wasn’t joking when he quoted the above. When one speaks about bridging the gap between the manufacturer and consumer, the world of Internet is the first thing that pops into our minds. The common playground has brought products, services – digital and physical, to our doorstep; unlike anything we’ve seen since the beginning of humanity. Ease of access and transparency are just two of the advantages that we are listing among the mammoth that exists. While it is not rocket science to understand the benefits of E-Commerce from the consumer’s point of view, the same cannot be said for the manufacturers. In the neck-tight competition in this domain, it becomes extremely difficult for manufacturers to reach out to the consumers, let alone garner profits. While many options do exist, none of them promise to be friendly to the poor retailer. In short, setting up an E-retail business is like trying to hold a burning candle in the rain. However disheartening this might sound, we all are aware of how cruel the online world is. Just when you thought your dreams of being the next big thing were shattered, be aware of a platform that is for everyone who wishes to sell their products or services online directly to his/her audiences. Now that we’ve offered you shelter, allow us to tell you about Easebuzz. If you are a merchant or a freelancer who wishes to sell his/her product or service on the web, then Easebuzz is the platform you should look out for. Easebuzz is an online payment platform that gives you a free online payment solution. 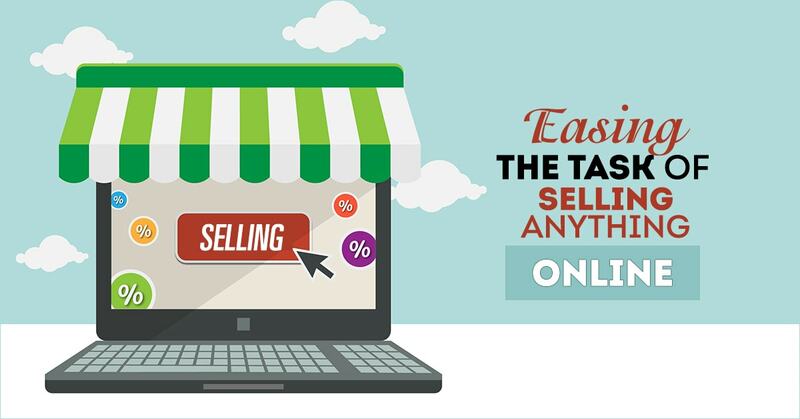 For anything that you are willing to sell, you can set up an exclusive online shop that showcases all the products and services that are available. This online store will be in the form of a link that can be shared with anyone you wish. When a customer clicks on the link, he/she can pay to you online and your transaction is done. All the transactional details are captured within a single dashboard which allows a seller to reconcile data with ease. Keeping in mind what Easebuzz is offering, we are confident of becoming India’s favorite platform for freelancers to sell anything easily & quickly. Everything from our effortless payment solutions to our dedicated support team has been created to bring a hassle-free ecosystem for anyone who wishes to rise in the world of E-Commerce. We are powered by the leading banks and payment processors of India. We are speaking about the market-leader in providing payment solutions which is linked with over 112 banks and 6 payment options. Thanks to these features, it doesn’t come out as a surprise that over the course of last 18 months, Easebuzz has managed to attract over 5000 unique visitors daily which gives the website an Alexa ranking of 13,452. The platform already has 700 merchants on board with over 500 transactions taking place daily. While the market average dropout rate stands at 15%,Easebuzz manages with a dropout rate less of than 3%. All these factors are governed by the three foundation stones that helped us build this platform – Visibility, Affordability & Simplicity. These three essential pillars are catered with our exclusive features that are second to none. You can have your own store in the form of a link. You are entitled to customize your link which can further be shared among your friends and probable customers. This simple mechanism erases out the onerous task of worrying about approvals, visibility, and accessibility. Having your own shop assures you of transparency in every front with respect to the customer information, transaction details, sales information among other important details. With the aforementioned features, we promise you to have one of the best online shops one could ask for. Yes, you read that right! We will be accepting payments only when you sell your product or service. You get to market your product on our website free of cost, where all the hosting and maintenance costs are borne by us. You will be charged only 2.5 % once you complete a sale. In addition to this, it is noteworthy to highlight that all your customers can receive up to 50% cash back in the form of coupons. Having a dedicated relationship manager has its own perks. One of them being the privilege of calling him/her when you wish, to clear out any hassles or problems. We also offer marketing solutions in the form of bulk email and SMS along with publishing the same on our page (upon request). Through our smart marketing options, you can reach your potential customers within no time. Furthermore, we have a support team that functions during every hour of the clock to make sure your satisfaction. The only way to do great work is to love what you do, and Easebuzz is providing a platform for you to sell what you love. As merchants ourselves, we are aware of how important it is to have a secure solution that caters to your needs; which why we are PCI-DDS compliant and our web servers are handled by Amazon which makes the entire operation absolutely secure. As the name goes, Easebuzz is striving hard to make it easy for each and every one of you. Next story Digital Media Marketing Trends to Watch Out for in 2017!